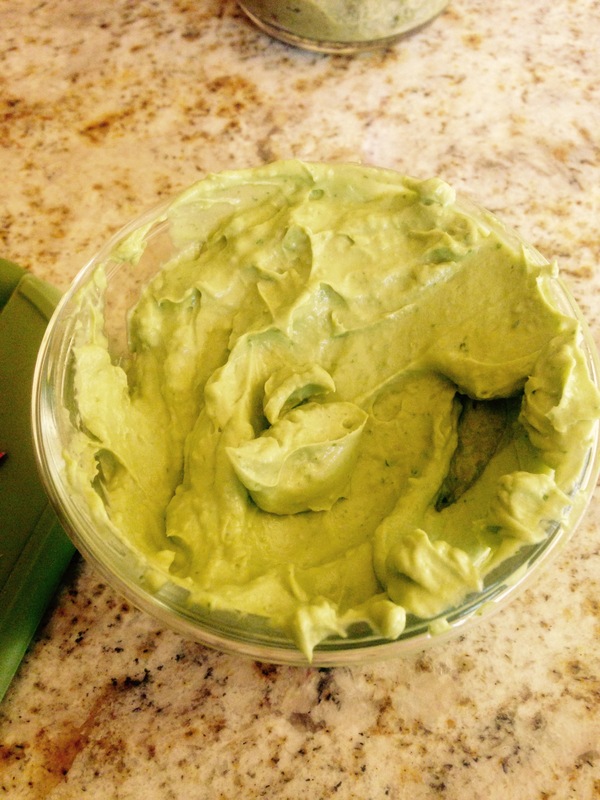 Promise this will be the last post about avocados for a while, but had to share this super easy dip with you all. My friend and I wanted to have an avocado-themed day, so I hurry over to the grocery store to pick up some avocados. I get there, and as I’m picking them out, they all feel as hard as a rock…but I have hope. I call my friend and ask her what she thinks, and me being the inexperienced avocado enthusiast, I decide that everything will be fine if we use these avocados. An hour later, we’re at home struggling to even make a dent in these avocados. Classic. So begins a frantic Google search to find out how we can quickly ripen avocados. One source tells us to remove the skin of the avocados, cut into 4 pieces, and microwave in a covered bowl for 2 minutes with salt / pepper / lemon juice. Worth a shot (with much struggle and immense arm strength I must admit to remove the skin). Well, it actually worked (texture became soft, though I’m not sure the taste exactly matches that of a ripe avocado)! Definitely a trick to keep in my back pocket if I ever get into a situation like this. Combine avocado pieces, jalapenos, lime juice, olive oil and salt in a blender and you’ve got a great dip that isn’t guacamole (I mean, how tired are we of guac am I right). I wish I could give you proportions, but I’m a taste-as-you-go kind of person. Enjoy! What Do You Call Pancakes with Abs? Waffles! What do Nosy Peppers do? Get Jalapeno Business! I am a taste as you go kinda cook as well.